PMCG – Active Microclimate Generator for Museum Showcases. 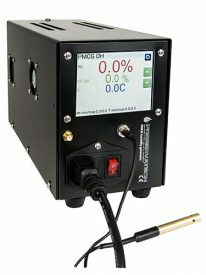 The PMCG humidity generator is a novel approach for controlling humidity in museum quality display cases. The PMCG units are based on solid state technology – unlike other units, they don’t require filling or emptying of reservoirs. Once the machine is setup, the humidity inside the display case is maintained for years without the necessity of checking the water level, adding water or any other regular maintenance. PMCG devices are able to maintain relative humidity from below 25% up to 60%, at ambient temperatures of below 0°C up to 40°C. The newest models are equipped with a WiFi connection to internet. DD – provides dehumidifying only. DD units are ideal for low level RH applications (eg. 17%) when ambient RH will always be higher than the target RH inside the case. DH – provides both humidifying and dehumidifying. 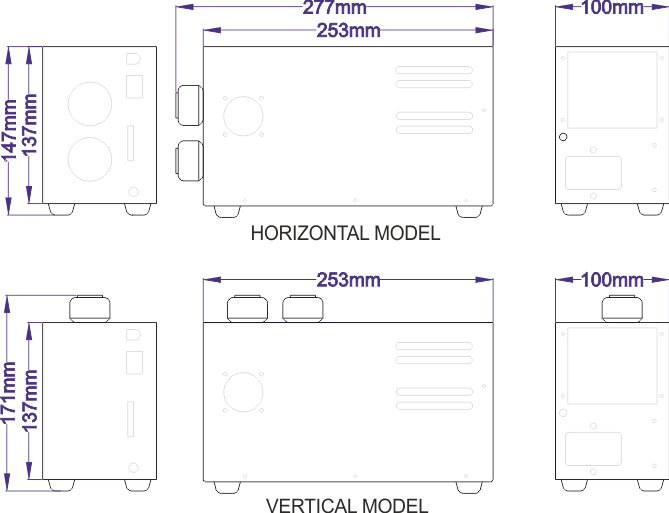 The DH units may be used for all applications. The PMCG unit should be installed in the close vicinity of a controlled display case (eg. in a cabinet under the case) and is connected to the case with 2 hoses 3/4 inch / 20 mm ID. There is no special recommendation for the enclosure except that it should be adequately ventilated. A standard power outlet is required, 110 VAC or 220 VAC / 50 or 60 Hz. The Unit should be mounted vertically. 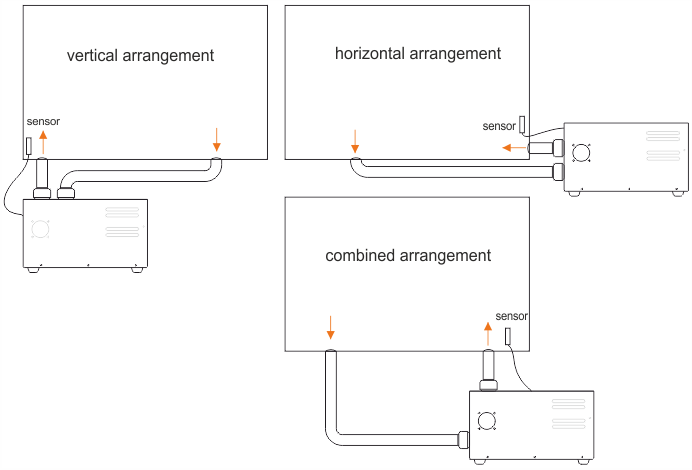 Horizontal installation is possible but is not recommended as it will substantially reduce the unit’s life span. The expected life for vertical installed unit is over 10 years. Two year replacement warranty. The warranty for the first year is unconditional. For repairs or replacement over the remaining 1 year, shipping costs are the responsibility of the customer. The RH sensor is covered by a two year warranty, we recommend changing the sensor after 2 years. The warranty is voided if the unit is opened or flooded with water.